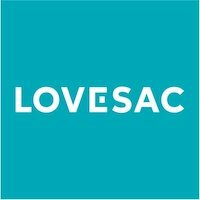 Lovesac bean bags and Lovesac sofas are a No Middleman favorite in their category. This direct to consumer furniture is fun, functional, stylish, and affordable. The Lovasac sectional couch is built to be the world’s most adaptable couch, with any arrangement style possible by adjusting the squares (see their brand video and Youtube channel for examples). The Lovesac bean bag is built to be “the most comfortable seat on Earth,” according to their Instagram profile. Check out their awesome gallery of photos below!